I am delighted and honored to have been accepted as an alaka’i candidate meaning that I am now training to become a teacher of Huna. What is Huna? In brief, Huna is a form of Hawaiian shamanism that is taught by Serge Kahili King. 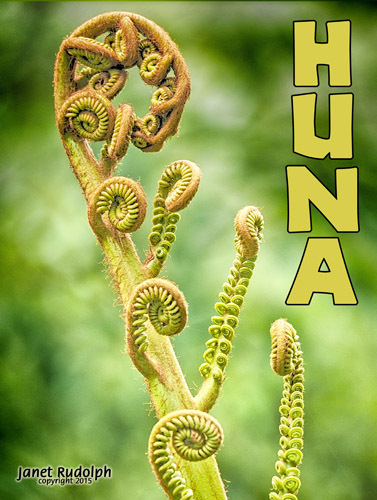 Huna means secret, but not the form of a secret that can’t be shared. It is instead esoteric knowledge that is available for everyone but is hard to see or find. In other words, it is the knowledge behind appearances. Hu means movement in the sense of a fountain rising up and Na is the stillness of the center, a peaceful quiet awareness. As a newly minted alaka’i candidate I would love to talk about it and share what I’ve learned and how its affected my life. There are so many gems of life in inherent in huna that I am thrilled to do my part in sharing them. In the coming weeks, I will be blogging about the 7 principles of huna (not laws or decrees but principles) so be sure to check it out. Questions welcome!